【Large Communal Bath】The bath is a natural hot spring of home origin. 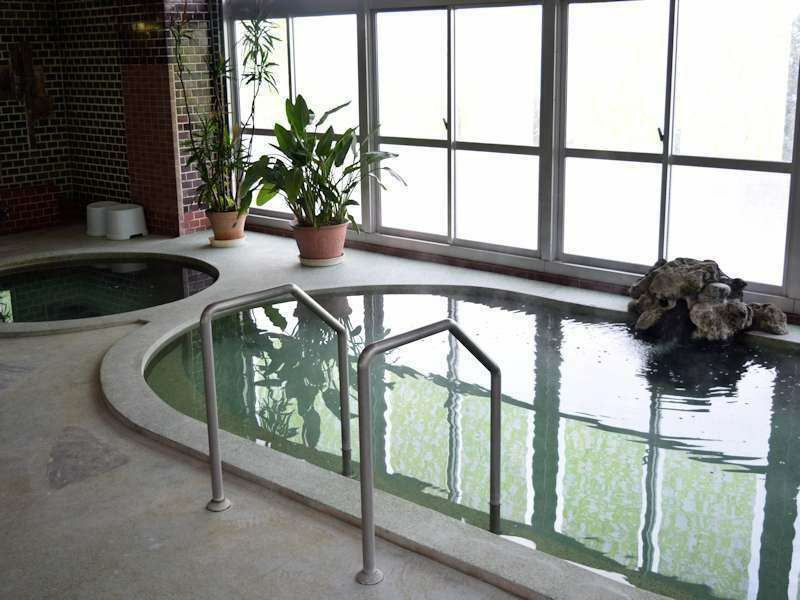 "Hasuike Onsen" which springs from the premises is effective for recovery from fatigue! The public bathroom of the hotel is a "Pure Hot Spring" hot spring. Akakura Onsen water is a valuable famous hot spring which also combines two spring quality. As well as "General indications" common to hot springs such as neuralgia, rheumatism, stiff shoulder stiffness, back pain and recovery from fatigue, as well as unique "spring indications", it has a reputation for "making skin" and "healing of wounds" Yes. Please enjoy the Famous Hot spring Akakura Hot Springs. The source of Akakura Onsen is Mt Myoko water from Hundred Japan's "Mt Myoko". Due to the source temperature, the distance from the source, the moderate gradient, it is around 42 ° C which is said to be the most pleasant when filled in the bathtub of each facility. It is evaluated for its efficacy in various words such as "skin Bijin-no-yu" "natural skin lotion" "exquisite hot water adjustment that nature has blessed" "spirit spring". Depending on the accommodation situation, it may be replaced by men and women.